violin, guitar, theory, history & Orff lessons. We also sell music books, violins & guitars. 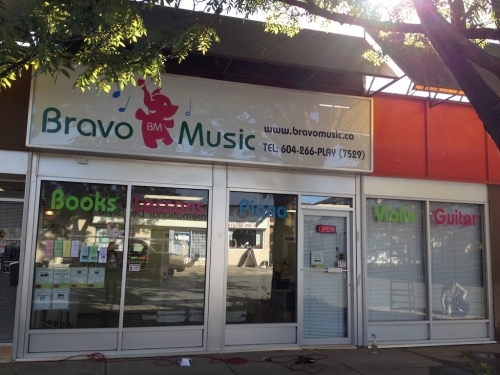 Conveniently located in Marpole, Vancouver, Bravo music offers quality private and group lessons to students of all ages! Our qualified instructors are patient, energetic, knowledgeable, and professional. Whether you are looking to learn for a hobby, or hoping to participate in music examinations, competitions, and auditions, our instructors can customize your lessons to suit your goal!